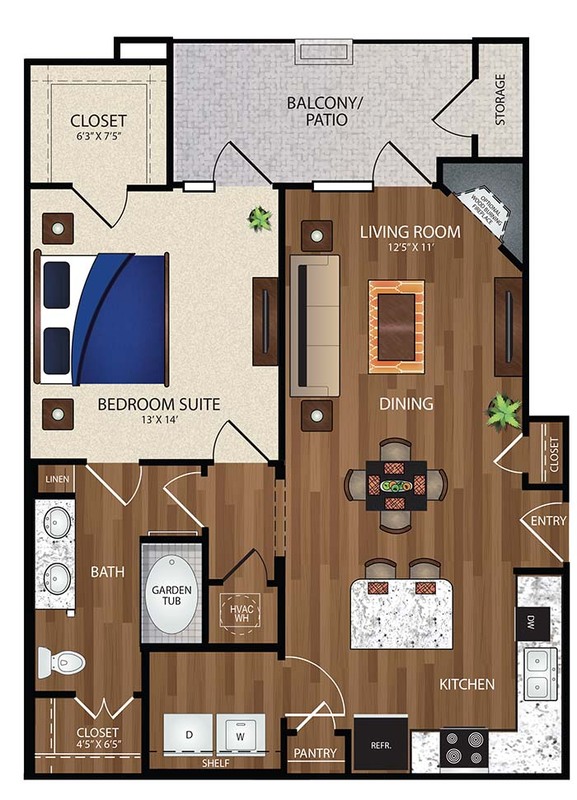 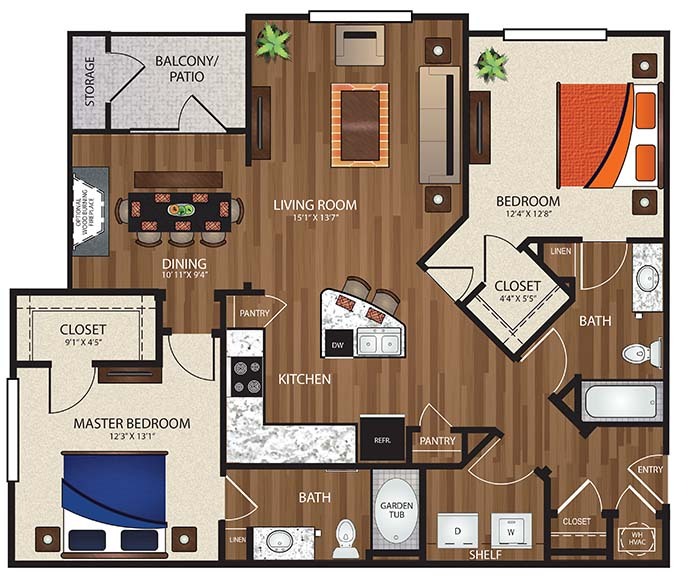 The Reserve at Fountainview offers an array of floor plans that feature one, two, and three bedrooms. 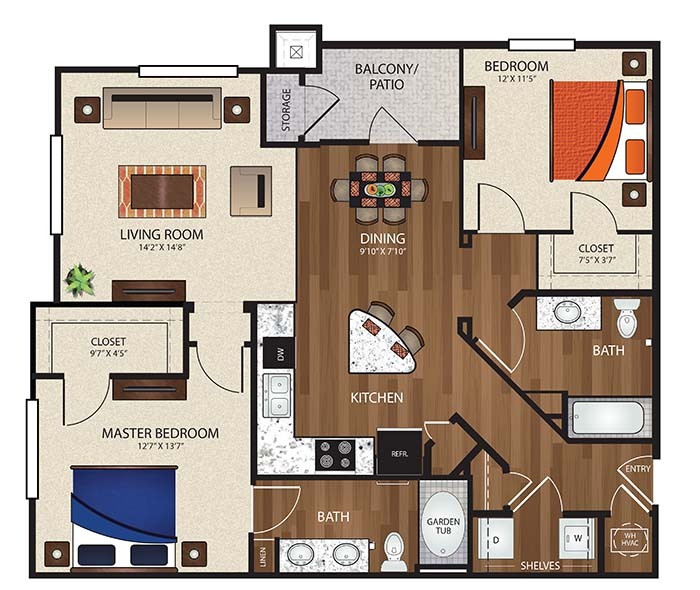 Each home includes a kitchen, dining area, living room, utility area, balcony or patio, and the corresponding number of bathrooms and bedrooms. 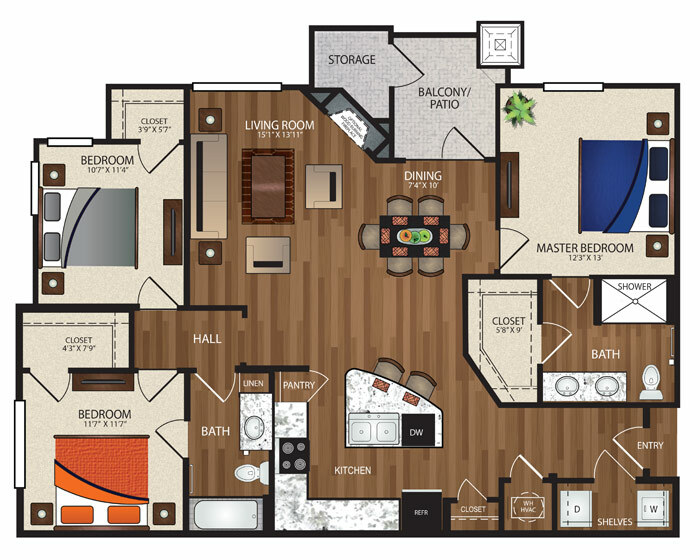 Endless amenities are at your fingertips with our gourmet kitchens with granite countertops, premium plank flooring, and oversized closets. 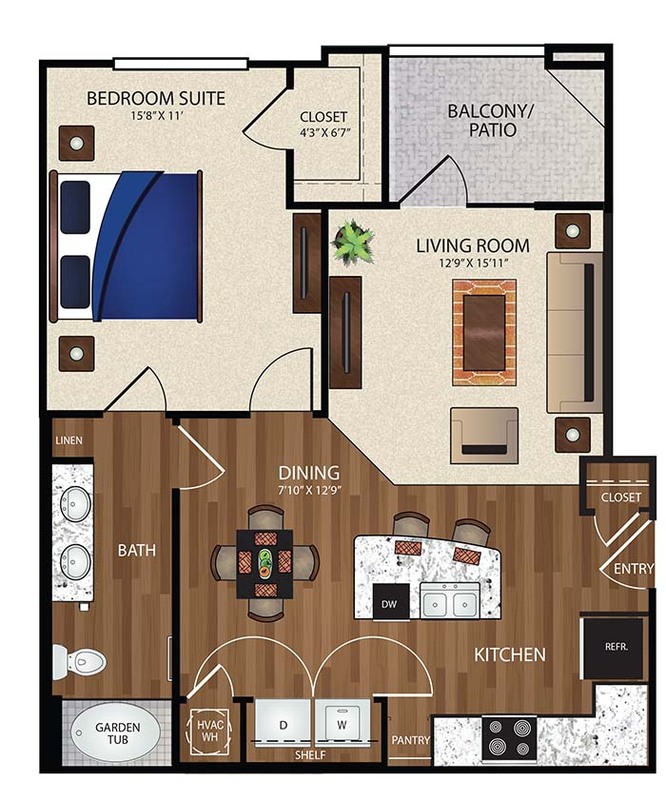 Our community serves as an extended living space where you can enjoy everything from a 24-hour fitness center with ellipticals, treadmills, and free weights to a gourmet coffee & hot tea java bar. 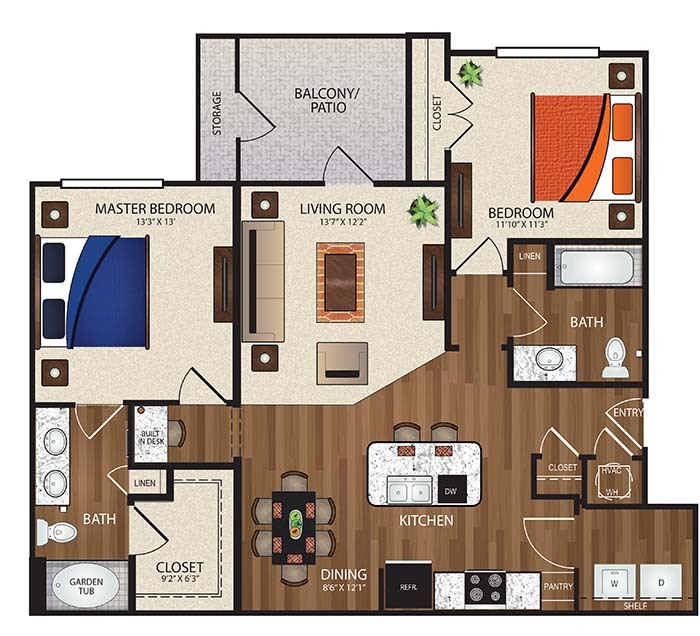 With our various floor plans, featuring assorted square footage and prices, everyone should be able to find the perfect fit for their lifestyle.